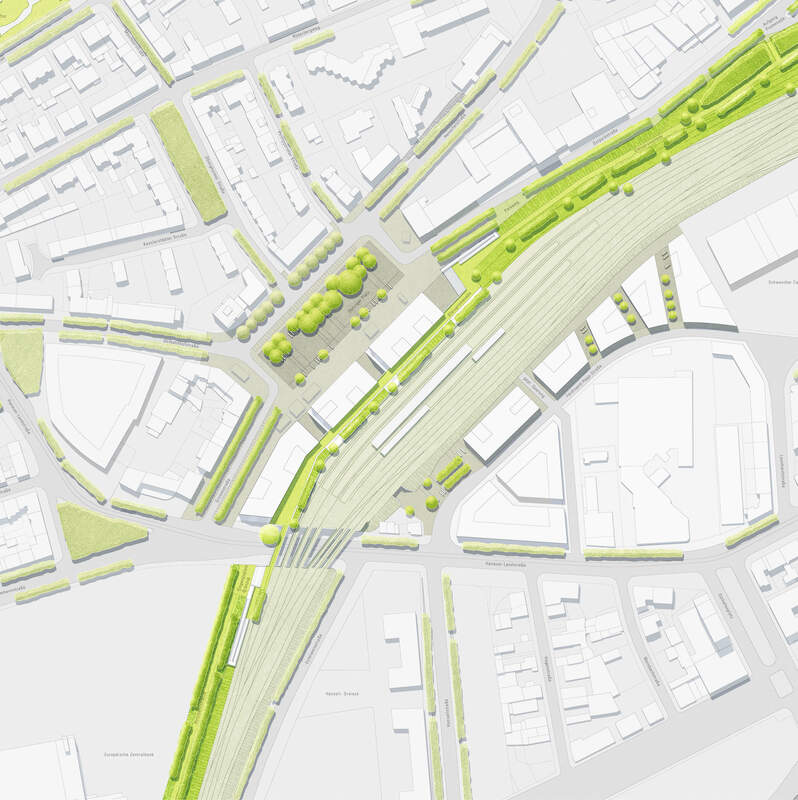 The missing link in the Frankfurt green belt is to be complemented by a ‘landscape bridge’. The two quarters on both sides of the railway line are to be connected more strongly with each other. 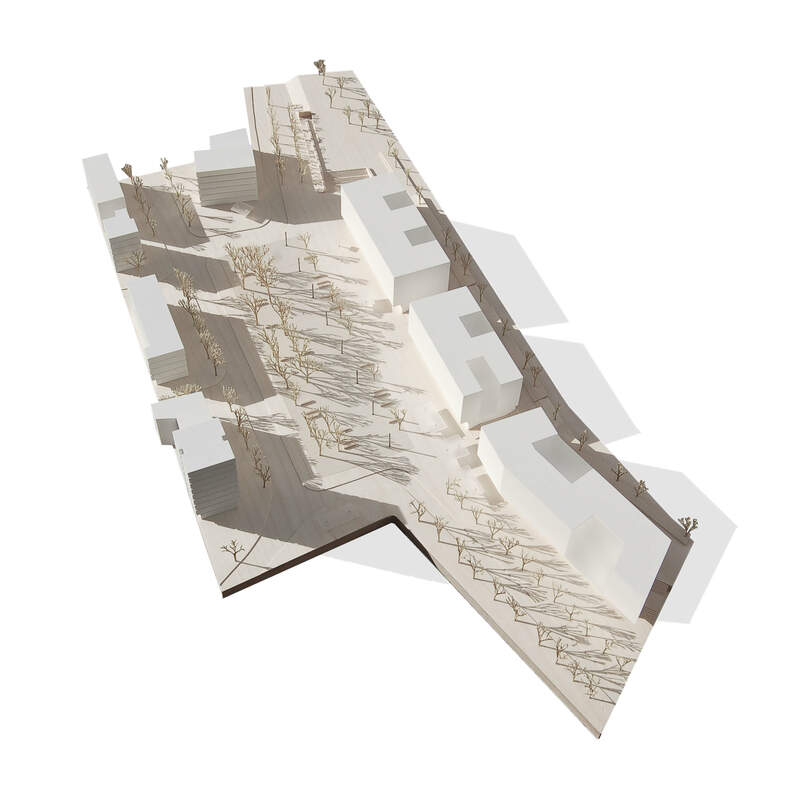 The Danziger Platz is to be given a spatial edge and to be more revived. A contiguous development strip borders the south-east of the square. 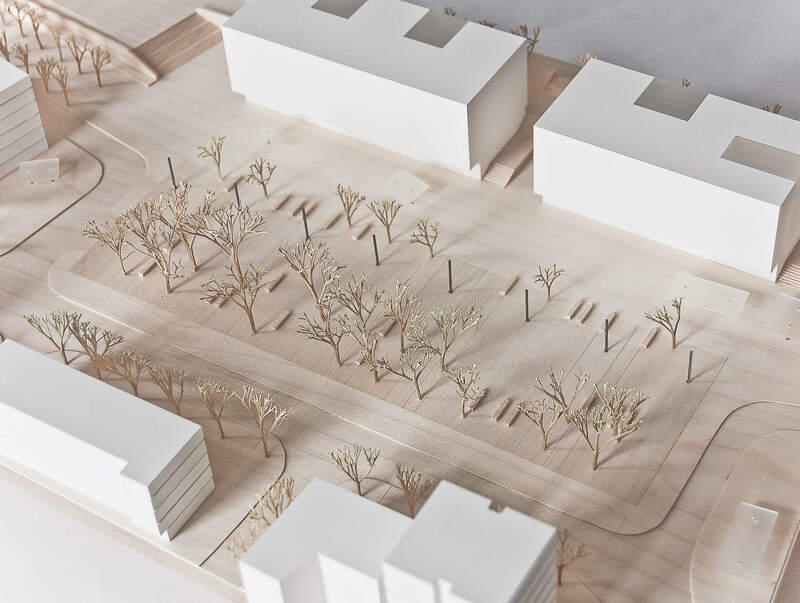 It stretches from Hanauer Landstraße to the newly planned road in the north-east of the square. 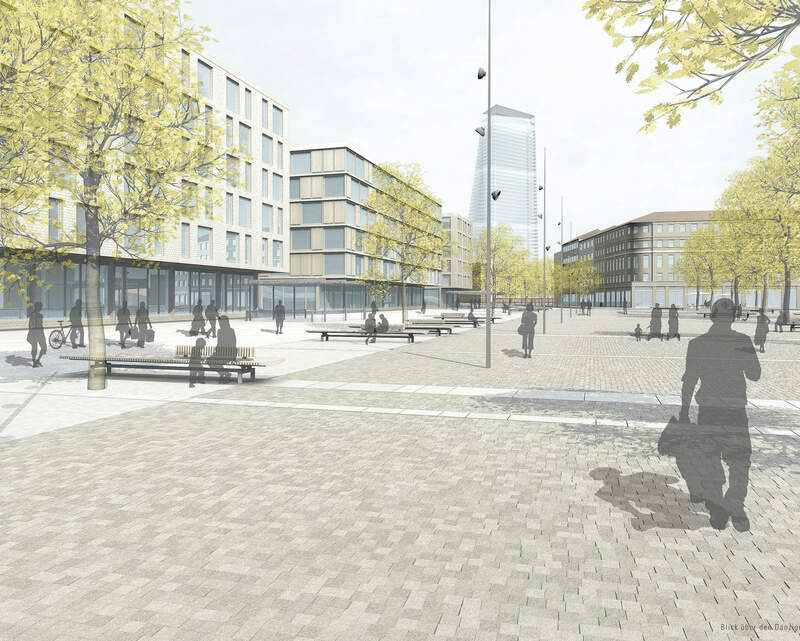 In favor of a generous link between Gleispromenade and Danziger Platz, a superstructure at the north-eastern side of the square is being dispensed with. with a different surface. 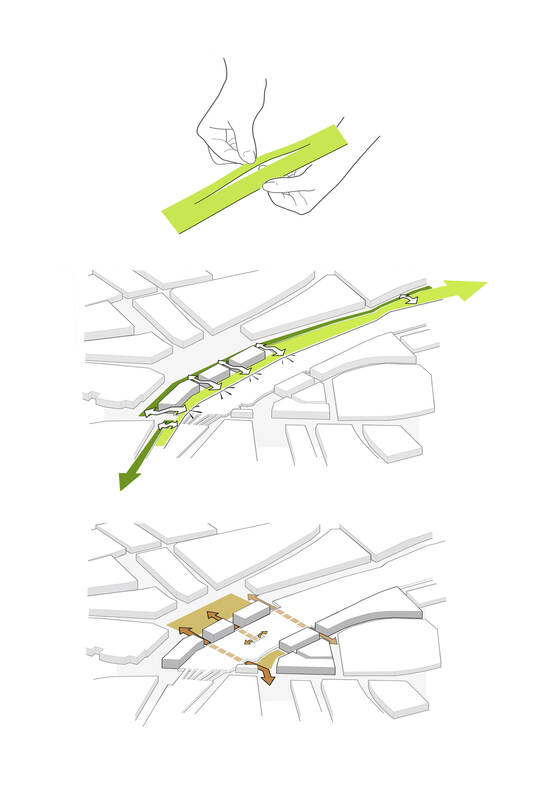 The staying area takes up the existing plane grove, which is complemented few and far between. The landscape bridge is made up of the Gleispromenade and the park path. The two routes are located at two different height levels. Landscape bridge and city level are linked by stairs and ramps.